A nice easy walk along a section of the south west coast path which highlights the city's history and heritage. The walk links the Cremyll Ferry landing stage on the shores of the Tamar with Jennycliff on the eastern side of Plymouth Sound. Known as Plymouth's Waterfront Walkway the walk is suitable for families with good paths and lots to see on the way. Highlights include Plymouth Hoe, Smeatons Lighthouse, the pretty Marina at the Barbican, Hooe Lake and Fort Bovisand at the end of the walk. To extend the walk you can continue along the South West Coast Path towards Wembury Point. If you head west across the ferry you can visit Mount Edgcumbe Country Park where there's 865 acres of parkland and beautiful landscaped Cornish gardens. 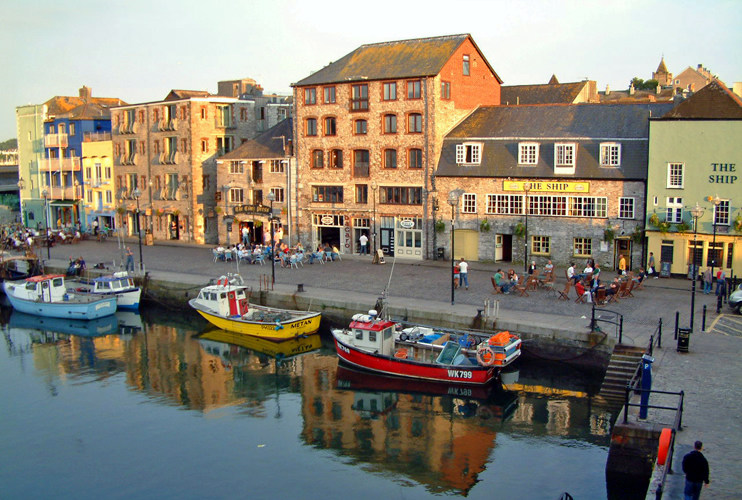 Plymouth is also located very close to the Dartmoor National Park and the Tamar Valley AONB where there's lots more great options for walkers.